SHANGOMBO farmers have bemoaned late delivery of farming inputs. Some farmers told NewsDayZambia.com this week in Shangombo that government had neglected them thereby adversely affecting one of the major economic activity in the area. Mathew Ndundu, a farmer from Likwalui village complained that late distribution of inputs had been recurring annually. “Today is January 17 and this is when am receiving inputs, so when am I going to plant?” he asked. “Yes, they say this seed is early maturing but the planting season is over now”. 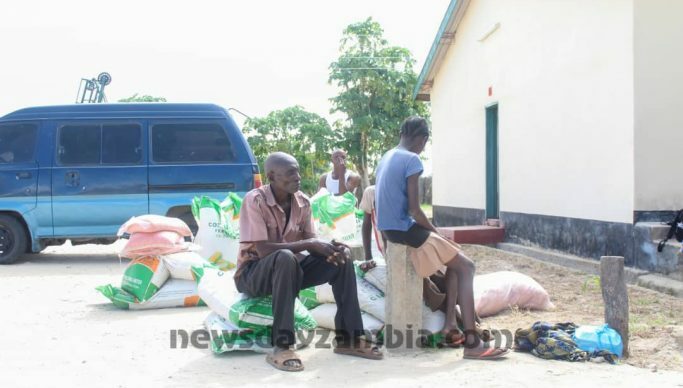 And Mubita Kwalela of Malala village expressed disappointment over the continued delay in delivery of inputs despite government assuring farmers that inputs would be delivered in October. “Government should learn to tell the truth unlike deceiving us every farming season,” he said. “October was the right time for distribution”. Kwalela explained that the seeds would only go to waste if planted now as some fields were already flooded. Meanwhile, Inonge Nyambe urged farmers to diversify by growing millet and groundnuts in order to mitigate the effects of late delivery of inputs.